Some of you may be familiar with the term “shiplap”, but I believe this enduring interior detail deserves far more attention than it currently receives, especially here in the southern hemisphere! 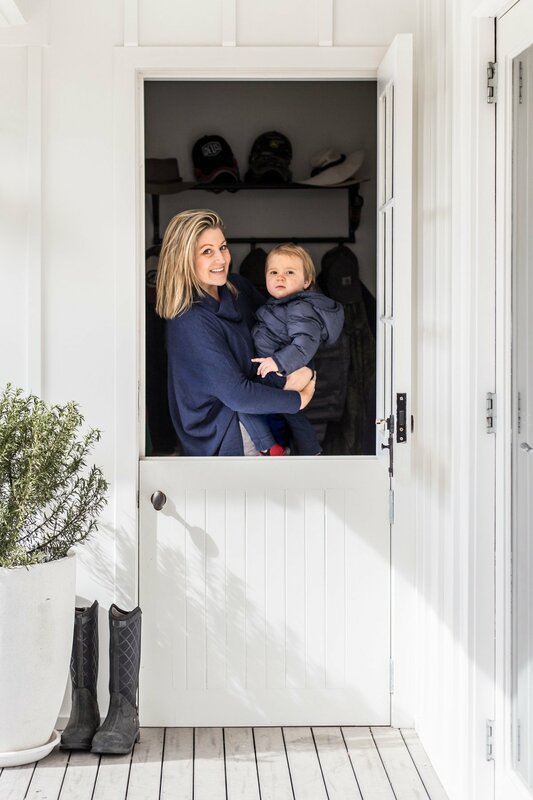 For those that are’t familiar, shiplap is essentially milled lengths of timber board with a rebated edge that joins tightly with the next board giving a distinct shadow line effect (either vertically or horizontally), as well as a weather tight seal. Also referred to as wall “planking”, it has a similar look to traditional tongue and groove lining or beadboard, although shiplap is characterised by a simple square edge which gives it a more modern look. If the day ever comes that we build, you can bet that every wall in the house will be shiplap. Yes, every single one! I truly cannot get enough of this look. What I personally love about shiplap is that it creates subtle interest and texture; the ideal canvas for those who prefer a simplified, restrained and neutral palette. 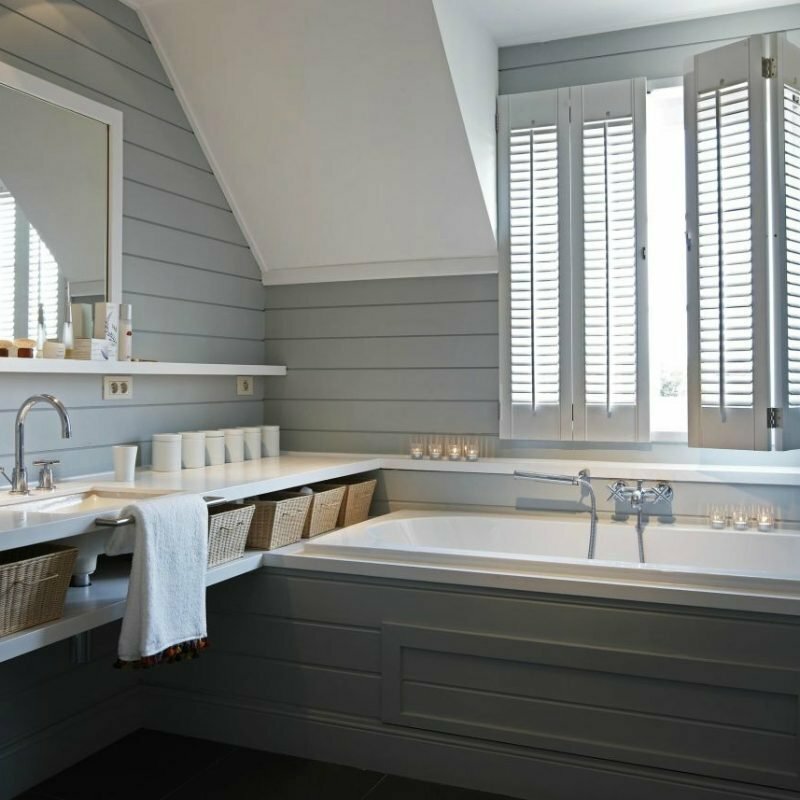 The vertical shiplap (using v-groove cement fibre sheeting) in our bathrooms creates a much softer look and feel than wall tiles – which can sometimes look and feel a little cold. This monochromatic bathroom escapes that cold feeling with the use of warm, light timber floors and crisp white shiplap walls. To me, shiplap walls make a room so much more interesting. 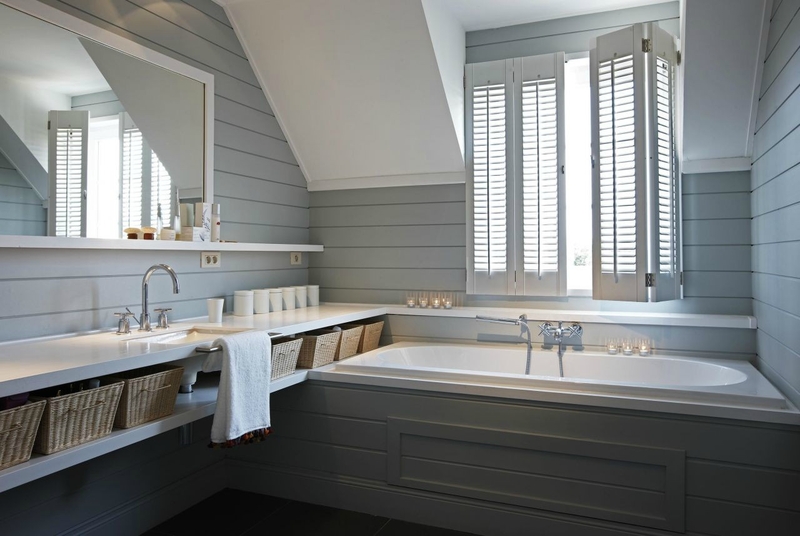 I particularly adore this grey blue bathroom above. It feels warm and inviting (despite the cooler colour scheme) but also looks smart, elegant and classically modern. It goes without saying that shiplap and v-groove cabinetry are a match made in heaven. The simple combination of horizontal and vertical shadow lines create a harmonious space that is essentially an modern take on traditional tongue and groove of yesteryear. 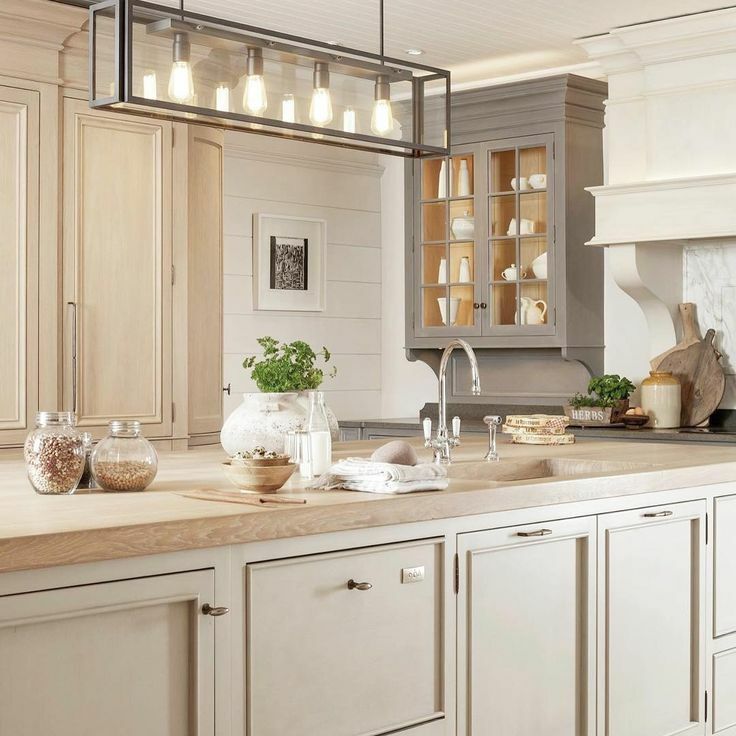 I just love the combination of shiplap and v-groove cabinetry. Our kitchen cabinetry is v-groove profile (very similar to above) and we absolutely love it! It’s a refreshing change from standard shaker profile cabinetry, but I also think mixing v-groove and shaker profiles looks gorgeous too! I love how the dark counters and backsplash break up all the white cabinetry and create depth. Of course if you’re not ready to do shiplap on every wall, using it as a feature can look quite striking. It’s the ideal material to cover over a brick fireplace, as a backsplash in the kitchen (this is where the cement fibre shiplap sheets are brilliant as they’re waterproof!) or as a feature wall in a closet, stairwell or entry foyer. My tip when it comes to shiplap? If your ceilings are low, choose vertical shiplap as opposed to horizontal, as this will make your space feel taller. The vertical lines will help give the illusion that your ceilings are higher than they actually are! And if in doubt, go white! !